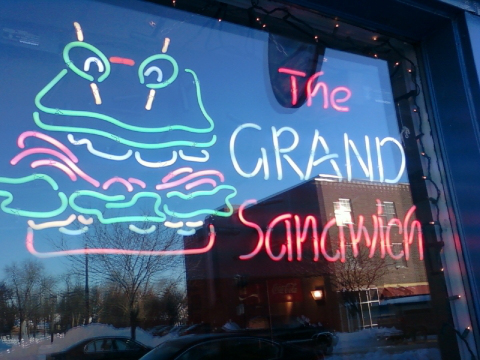 Nestled between two other notable restaurants just west of Macalester College on Grand Avenue lies a fairly new and unknown deli restaurant by the name of Grand Sandwich. It was started last year by Daniel Esrig, a recent economics and geography double major graduate at Macalester, who wanted to “fill a niche” in the neighborhood, which previously lacked a deli. As a result, his deli serves up all types of sandwiches, toasted subs, and paninis made with high quality and unique ingredients. Filed under Dining Suggestions, Macalester College, Nathan S.